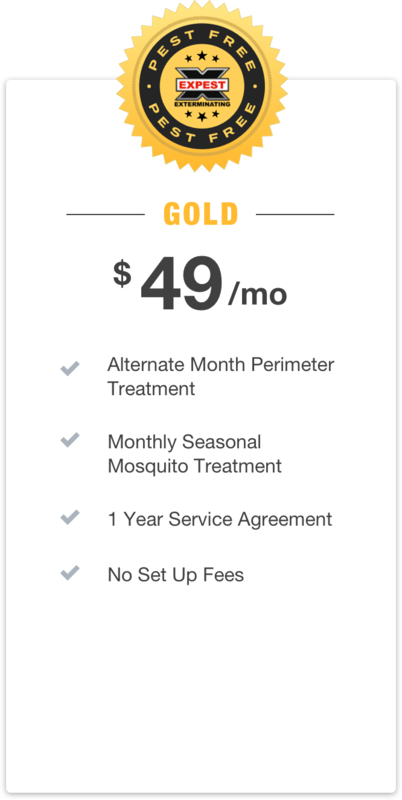 Alternate month exterior pest control service without package is $125 initial then, $330 annually / up to 4,000 .sf. Yard Mosquito Misting without package is $455 annually / up to ½ acre. Monthly Yard Treatments Are Serviced April to October. This includes treatments to plants and bushes around your house and yard to eliminate mosquitoes and reduction of breeding sites.